Paul was born in Gainsborough, Lincolnshire, and was Organist and Choirmaster of St. Georges Church. He was the pianist for a local ballet school whilst studying piano, organ and singing. Moving to Loughborough he was the Organist and Choirmaster of Thorpe Acre Church, and conductor of the Loughborough Ladies Choir. In Derby he was the Chairman of Derby Bach Choir. He is a senior lay clerk in Derby Cathedral Choir, Musical Director of A Choir'd Taste in Melbourne and Musical Director of the Dalesmen Male Voice Choir. John was born in Gowerton, near Swansea and after graduating from Swansea University he joined Rolls Royce, hence he came to Derbyshire. John's hobbies and interests are global travel (particularly bird-watching expeditions) hill walking in the Peak District, gardening, reading and playing the piano. John started playing the piano at the age of 7 and later played double bass in the County Youth Orchestra in his native Wales. John joined the Dalesmen in 1999. Music plays a very important part in his life and he says that "the joy of Male Voice Choral Singing is incomparable". He adds, "To see pleasure on the faces in our audience is an uplifting experience. ​ Robin Fugill joined the Dalesmen as a T2 choir member and with his extensive musical background was also elected to the Music Team at the AGM as Joint Deputy MD. Robin was born and grew up in Hull, moving to Derbyshire in 1991 to take up post as Head of Music at The Ecclesbourne School. He spent a career in secondary education and was Head Teacher of schools in North Yorkshire and Nottinghamshire. Married to Carol with two children, Robin has been a Reader in the Church of England, broadcaster on local radio and currently is worship leader in his local church in Milford. Bill was born at Eastwood, Notts and now lives at Tansley, near Matlock. He is married to Mary and they have a son and a daughter. Bill is an electrician by trade but his greatest pleasure is making music. He has successfully accompanied the Choir since 1997 and is held in high regard by all those around him. Bill is also organist / pianist for Tansley Methodist Church and for other musical groups in the area. 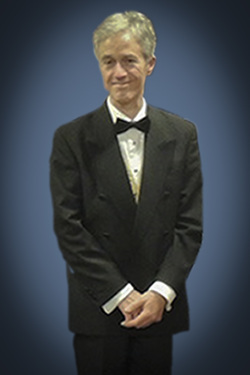 Bill, who is known as "Mr. Reliable”, says, "I see my strength in accompanying rather than as a soloist, so I enjoy contributing to the overall sound of the Choir in full harmony"
Tom has lived in Derby for a long time and is active as an organist and music teacher as well as being a rehearsal accompanist for Derby Bach Choir. His involvement with The Dalesmen is quite recent (he started in 2017) but he is pleased to associated with such a kind and friendly group of people who do so much good work.